Pirelli has revealed each drivers’ tyre choices for the Bahrain Grand Prix, with McLaren making the most aggressive selections. 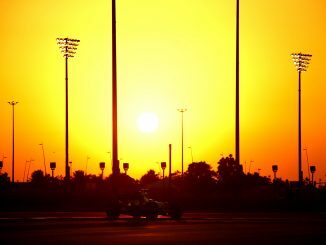 The three dry weather compounds available for the race at the Bahrain International Circuit will be the medium, soft and supersoft tyres. 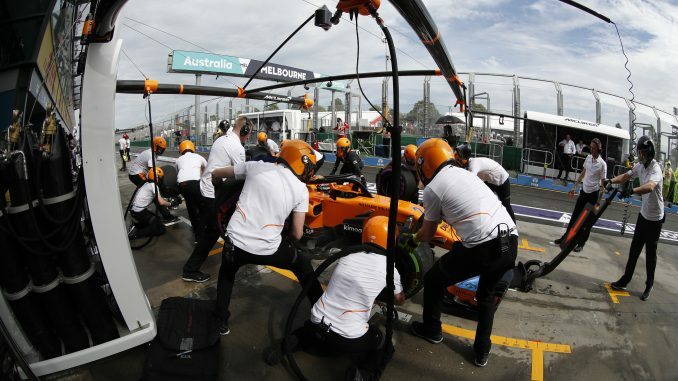 Fernando Alonso and Stoffel Vandoorne will each have nine of the supersofts available and just one set of mediums, in addition to three softs. No other drivers have elected to take as many sets of the softest compound available for the second race of the season. 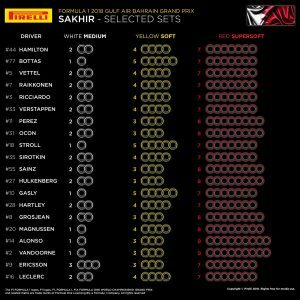 Alfa Romeo Sauber’s Marcus Ericsson appears to be the most worried about tyre wear as he’s the only driver taking three sets of medium compound tyres, as well as three sets of softs and seven supersofts. Teammate Charles Leclerc has one more set of softs than the Swede and just two mediums. Mercedes, Williams, Toro Rosso and Alfa Romeo Sauber have split their drivers’ allocations, while the other six teams will have the same options available for both drivers. 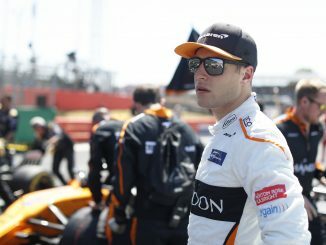 In addition to the McLaren drivers, Valtteri Bottas, Lance Stroll, Pierre Gasly and Kevin Magnussen are the only others using just one set of mediums. The most popular combination is two sets of mediums, four softs and seven sets of the supersofts – eight drivers will have this selection to choose from, including reigning world champion Lewis Hamilton and Australian Grand Prix winner Sebastian Vettel. In 2017, supersofts were the preferred race tyre. Most drivers needed two pitstops to complete the race distance, only Pascal Wehrlein managed to one stop and finish the race. 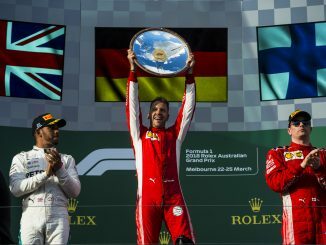 Vettel won the race starting on supersofts before switching to another set of supers and finishing the race on softs. Hamilton and Massa were the only drivers to use two sets of softs during the race. No driver used the medium tyre during the race last year.